Keratin treatments are rapidly gaining popularity, especially with women who typically wear their hair styled straight. In fact, these treatments can decrease the time it takes to dry and style your hair by 40-60%! Keratin treatments also reduce frizziness in all types of hair, even curly and wavy hair. In this shopping guide, we’ve compared some of the best keratin treatments to make deciding on one easier for you. Many keratin treatments contain formaldehyde or similar chemicals, but recently, beauty companies have been moving away from that toward “aldehyde-free” alternatives. Some types of keratin treatments allow you to style your hair immediately, whereas other types have you wait 72 hours before styling your hair. 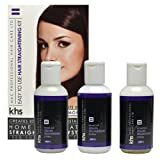 Keratin Treatments with Formaldehyde: Some of the original keratin treatments on the market contain a chemical called formalin which, when heated to a certain temperature, transforms into formaldehyde. Keratin treatment manufacturers state that there’s only a very small, safe amount of the chemical in their treatments, although formaldehyde is widely believed to be a carcinogen. Aldehyde-Free Treatments: Newer formulas of keratin treatments are moving away from formaldehyde and related chemicals, instead using ammonium thioglycolate, the same chemical traditionally used in perms, or glyoxylic acid, another safe alternative. 72 Hour Keratin Treatments: Most keratin treatments recommend leaving the product in your unstyled hair for up to 72 hours so that the straightness and smoothness set in. This means you cannot get your hair wet, wash it, or put it in a ponytail, braid, or bun during the waiting period. Quick Treatments: These new treatments have slightly different formulas which allow you to wash and style your hair shortly after performing the keratin treatment. Duration of results: Some keratin treatments guarantee that they’ll last a certain amount of time, ranging from 8 weeks to 6 months. Shoppers raved about the long-lasting results. Sulfate-free shampoo: Almost all keratin treatments instruct you to use sulfate-free shampoo after your treatment. 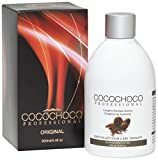 Customers pointed this out and loved treatments that came with sulfate-free shampoo or brands that sold both keratin treatments and the corresponding shampoo. 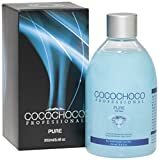 Scent: Some experienced keratin treatment shoppers reported that certain treatments had harsh chemical scents. On their second try, they looked for aldehyde-free or unscented treatments to alleviate this problem. For shoppers who are sensitive to harsh smells or have chemical allergies, definitely look for an aldehyde-free keratin treatment. Some keratin treatments require you to use tools like a flat iron or a specific type of brush, and these are not always included with the treatment. Make sure you read the instructions and obtain all necessary tools before beginning the treatment. If you’re nervous about the chemical content of your keratin treatment, look for a formula that lists all of its ingredients. Some (including some treatments done at salons) do not list all the additives used. Keratin treatments can reduce breakage and frizziness even on color treated, damaged hair! Look for a formula made for color treated hair if you dye yours often. 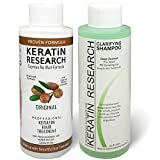 Keratin Research: This company, which sells a variety of keratin treatments in addition to flat irons and hair loss concealing solutions, is known for innovative hair and beauty products. 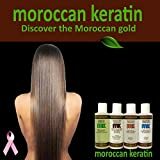 Keratin Complex: Keratin Complex, based in Boca Raton, Florida, makes and sells a variety of hair care products ranging from color treatments to keratin treatments. 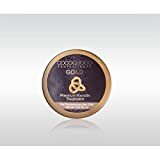 Keratin is used in their patented "Smoothing Treatment" as well as in their dyes and shampoos, so all of their products offer smoothing benefits. L’anza: L’anza’s tagline is “healing hair care,” and true to that, nearly all of their products boast healing elements. They manufacture and sell color, texture, and other hair care solutions.